Regarded, as the most atrocious crime carried out by the Gaddafi regime is the mass murder of 1,200 prisoners in Abu Salim prison, which took place over a period of two days in June 1996. Prisoners were led to an outdoor enclosure where they were systematically executed by prison guards standing on the walls above. 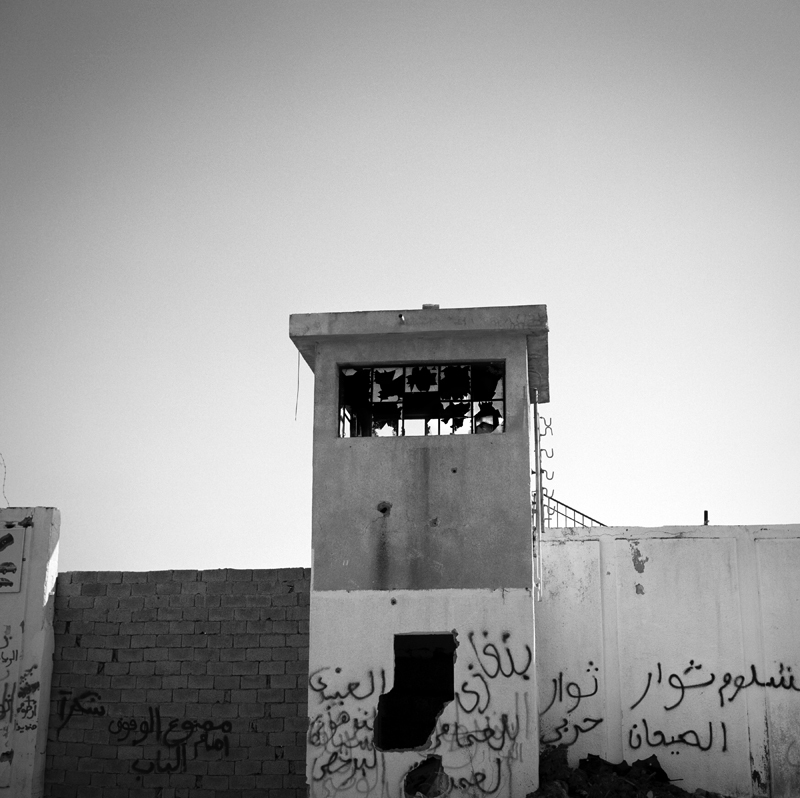 The cover up of Abu Salim prison lasted more than a decade. Most families didn’t receive death certificates until 2002, some as late as 2009, thirteen years after the massacre. To this day the remains of the prisoners of Abu Salim have yet to be found and much of what happened between those two days in 1996 is still unknown. Wedad Ftieta, a widow of the Abu Salim prison massacre states, “Only after Tripoli fell did I know that he was really dead. I can’t believe I have been waiting for my husband who died in 1996. I’ve lived in hope for such a long time. Ahmed died a martyr for this revolution.” “The Widows of Abu Salim” is a document of the women who’s husbands were killed in 1996.